Amazon researchers are working to improve Alexa, the virtual helper that is associated with their Echo home appliance. Specifically, they want to better understand a user's intent, by having a grasp of the user's emotions. Already, Amazon uses data about a user’s interests to prime the voice recognition system. Alexa is more likely to recognize requests to hear jazz artists from users who have previously added jazz to their digital music library, for instance. Researchers have long predicted that emotional cues could make machine interfaces much smarter, but so far such technology has not been incorporated into any consumer technology. SF fans feel, well, emotionally about computer understanding. 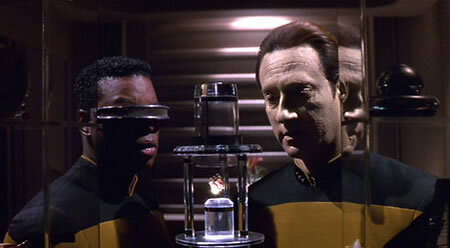 For example, Star Trek: The Next Generation's Commander Data made use of an emotion chip to actually feel emotions himself, which helped him understand his human coworkers and friends. Arthur C. Clarke's HAL 9000 was also quite adept at determining emotions (mostly through voice harmonics).